Today was an emotional day. We moved my third child, Claire, into her dorm at Harvard, with lots of excitement, hugs, and (for me) bittersweet moments. Then there was the matter of the current issue of Boston Magazine, which hit newsstands today. Claire is on the cover. She wasn’t interviewed for the lengthy article by Bridget Samburg (I was), but the editors apparently thought her face coupled with the line Homeschool got me into Harvard was just right. That, and a subhead with the line, Is this the new model for creating elite kids? Well, anything to sell magazines, I get that. I was taken aback by the question, though. Am I proud of Claire for getting into Harvard? Quite proud, but that was never the goal of our homeschooling, and I’m just as proud of my other children, none of whom got into (or applied) to Harvard. My eldest, Justine, spends her days as a behavior specialist, working to improve the lives of mentally challenged adults, people who are segregated from mainstream society but are no different than the rest of us in their need for love and human contact. Eric, my second child, quit college and is living his dream as a folk musician, not an easy path as any artist knows. Abigail, my youngest, is still in the process of figuring out whether or where she wants to go to college, but in the meantime, she has plenty to keep her busy, including the theater company she started. Like all parents, I’m proud of my kids for their accomplishments, but the greatest portion of my pride doesn’t come from there. Its wellspring is much deeper, having to do with who my kids are as people, their values, their kindness, their curiosity, and their courage. Those are the things we wanted to nurture when we started homeschooling, the things any parent wants when they make choices about how to raise and educate their children. But are they normal? Samburg asks that question in the article: “But are the kids happy and normal, or introverted and antisocial?” When she interviews the president of the Boston Teachers Union, he speaks of a “social cost” to homeschooling. Maybe he’s talking about the hit public schools take as a result of homeschooling, but more likely he’s focusing on the oh-so-common criticism of homeschooling centered around socialization. I’ve been homeschooling for a very long time (the article even calls me a “pioneer”), but this concern about socialization has never changed. 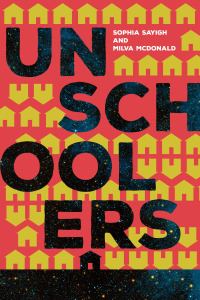 People worry that homeschoolers are going to be unsocialized weirdos, but what does that even mean? Why are we so obsessed with this idea of “normal,” anyway? Sometimes, I think our insistence on “normal” amounts to nothing more than intolerance. I’ve known so many homeschooled kids who left school because in that environment they were put down and sometimes bullied, often because they were different. I have seen kids recover, blossom, and thrive when taken out of school. Are they socially awkward? Sometimes, but aren’t we all. Are they weird? Yeah, that too, sometimes. Claire was considered weird for a good part of her adolescence because she loves jazz. She listened obsessively to Ella Fitzgerald, Sarah Vaughan, Miles Davis, and other great jazz musicians. She didn’t listen to pop music and knew very little about it. Eric as a teenager was in love with animals, especially mustelids. He hung out with middle-aged folks and senior citizens on the weekends, birding. These were and are by no means their only interests, but you get the picture. By society’s standards of what a normal teenager is, they were weird, and people sometimes said so. Who cares? They were and are happy, caring, contributing citizens of the world. Isn’t that what we want for all kids? Not conforming to mainstream stereotypes is one way to be weird, but what about social awkwardness? Do homeschoolers stutter, twitch, talk too loud or too soft, wear unusual clothing? Can homeschoolers follow rules, behave at the dinner table, have conversations with other people? These are the kinds of questions that homeschoolers face all the time. It’s pretty tiresome, actually. Milva, I love this post. What a wonderful way of looking at that tired-out question about “socialization”. 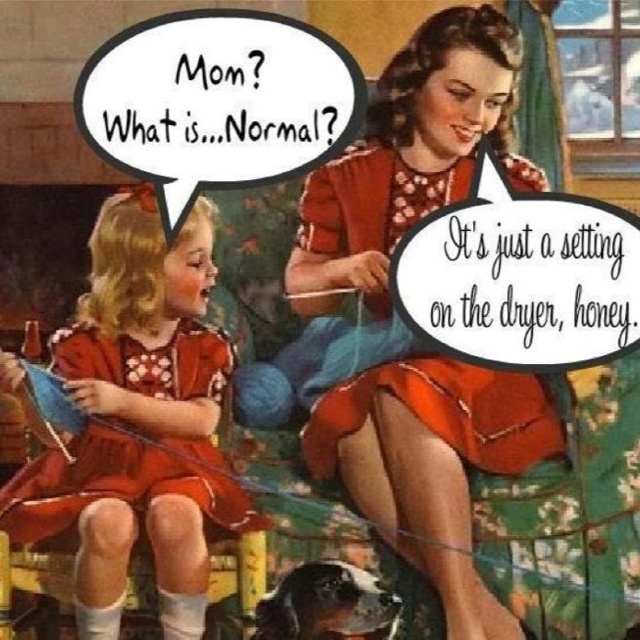 What is normal, anyhow? Are all schooled kids out-going, polite, amiable without any eccentricities our quirks? Talk about “embracing diversity”! My daughter, 17, has been homeschooled almost al her life. She loves it and is happy and would be described as well-adjusted. She had many unusual interests as a kid which all contributed to who she is and what she does today. Also, I’m glad you gave some background to the Boston Magazine cover story. It’s interesting how reporters chose to slant a story. I was a bit surprised by the focus on “creating elite kids” which is so anti-homeschooling. Anyway, I’m sure Claire will find lots of interesting, quirky, normal, and not-so-normal kids at Harvard. Enjoy! Wonderful post, Milva! Thanks for all you do for the Massachusetts homeschooling community!! What a faulty assumption on the part of the interviewer…that “normal”=happy, and introverted=antisocial. Is it “normal” to go to Harvard? I don’t think so. In fact, it is extraordinary, and only a small percentage of kids do — the really interesting ones.